The divide within the party grows wider. By Kyle Scott Clauss·	 8/17/2016, 10:41 a.m. The Massachusetts Democratic Party voted Tuesday night to oppose the upcoming ballot question that would lift the cap on the number of charter schools in the state. Question 2, which will be put to voters in November, has been particularly divisive for Democrats. “The notion of a middle ground on charter schools within the Democratic Party…it just doesn’t exist,” one party insider told the Globe ahead of the party meeting in Lawrence. If approved, Question 2 would allow state Board of Elementary and Secondary Education to approve up to 12 new charter schools or enrollment expansions in existing charter schools each year. Teachers unions across the state strongly oppose the measure, while supporters, like Republican Gov. 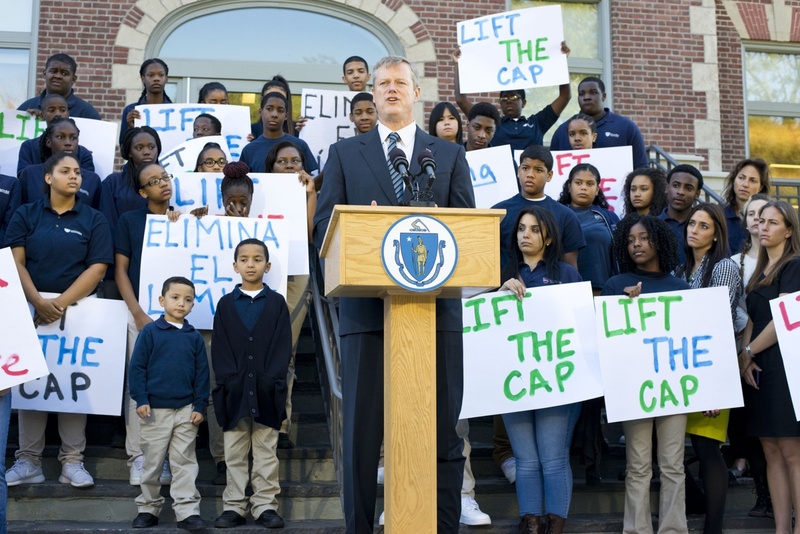 Charlie Baker, say it would create more opportunities for students in disadvantaged areas.